Actually, that’s exactly what I do with my Kato Broadway Limited passenger-train set. I have to eat my words now. I’ve had my Broadway set for a while now, and I frequently take it to shows. When my friend Dave got back into the hobby last year, one of his first major purchases was a Broadway set of his own. During our recent trip to the Altoona show, I noticed that a lot of N scalers have this set, and enjoy running it when they exhibit at shows. In response, I’m on a continuing quest to somehow set my Broadway apart from everybody else’s. It’s not an easy job. Kato’s base set for the Broadway contains ten cars. The essential cars—RPO, bar/lounge, diner, kitchen/dorm, and observation—are all there, as well as two different styles of sleeper. All by itself, it’s a very credible train that stretches 7 feet long in N scale. 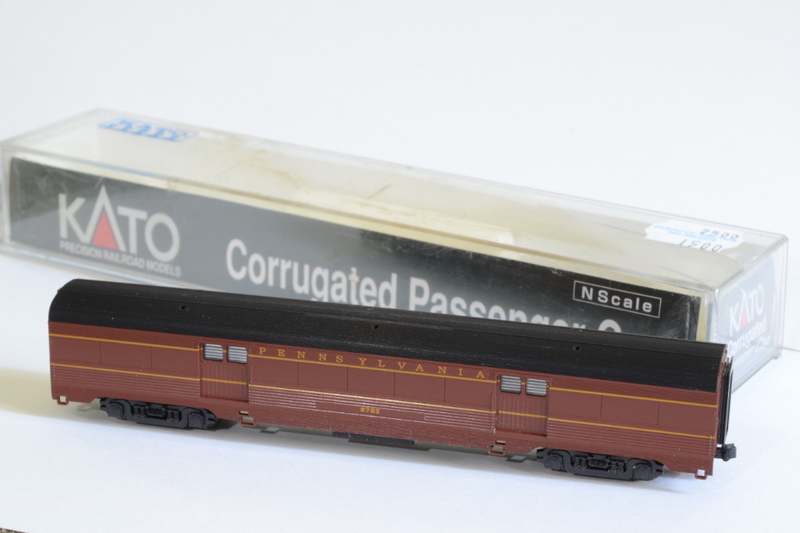 Kato also sells a 4-car add-on set, with two each of two more types of sleeping car. Now we’re up to 14 cars, which was about the maximum size of the real train. In N scale, it adds up to over 9 feet. When I purchased my Broadway, I got the add-on set at the same time. A stainless-steel Santa Fe sleeper, Regal Spa, is also marketed for the Broadway. I did a little research; Regal Spa was one of fifteen cars in the Santa Fe Regal series of 4-4-2 sleepers, and one of five that were assigned to transcontinental run-through service in conjunction with the Pennsylvania. The run-through service ended in the late Fifties, a few years before my era of 1963. I suspect that the Boeing 707 killed it off. After the hobby shop reopened last year, I was rooting through the N scale cabinet there, discovered Kato’s model of Regal Elm, and purchased it to go with the train. (Regal Elm is not listed in the transcontinental pool. Don’t tell anyone, okay?) That brings the count to fifteen. Also inside the cabinet were some Pennsylvania cars that were not part of the Broadway. I found a lightweight baggage car, and two smoothside coaches, all made by Kato. The real Broadway remained an all-sleeper train into the late Sixties, and did not regularly feature a baggage car. No matter. They fit right in, so I got them. They smelled faintly smoky, and the steel weights in the floor were a little rusty from moisture. Frank at the shop told me that they were bona-fide survivors of the fire. If you’re keeping score, we’re now up to eighteen cars. That’s markedly longer than any real Broadway the Pennsylvania ran. 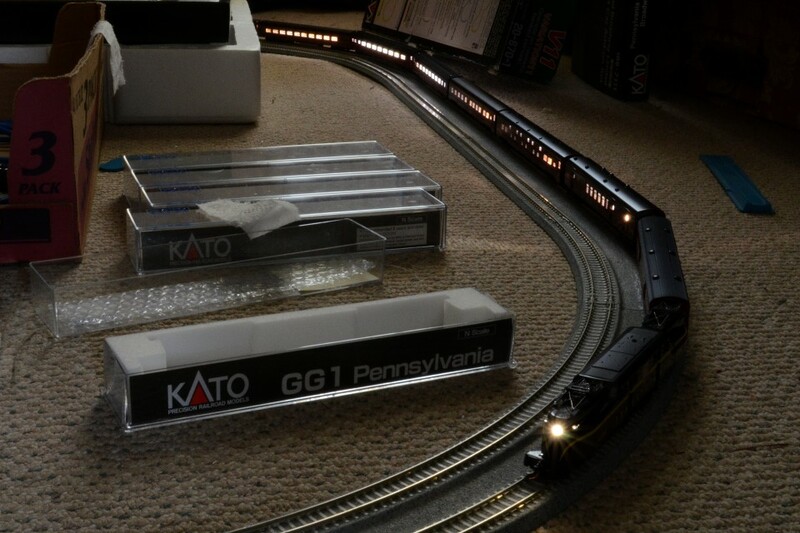 On level track, my Kato GG-1 pulls them all just fine. The first passenger cars I ever owned were a pair of American Flyer 650 coaches, for Christmas sometime in the Seventies. They were second-hand, of course, but they had light bulbs inside, and they looked awesome racing around the Christmas tree in a darkened living room. Ever since, a passenger car without lighting doesn’t look right to me. Fortunately, Kato’s passenger cars are built to accept an optional lighting kit. The metal wheels and pickup contacts are already there. Add a circuit board and a diffuser, and the car is lit. I bought them a few at a time, over the course of several months. Once you get the hang of installation, it’s a five-minute, no-tools job. Instead of incandescent bulbs, Kato’s lighting kits now use LEDs. Included in the lighting kit is this tiny bit of transparent orange plastic, which was not well explained by the instruction sheet. It is meant to somehow alter the color of the lighting, obviously. 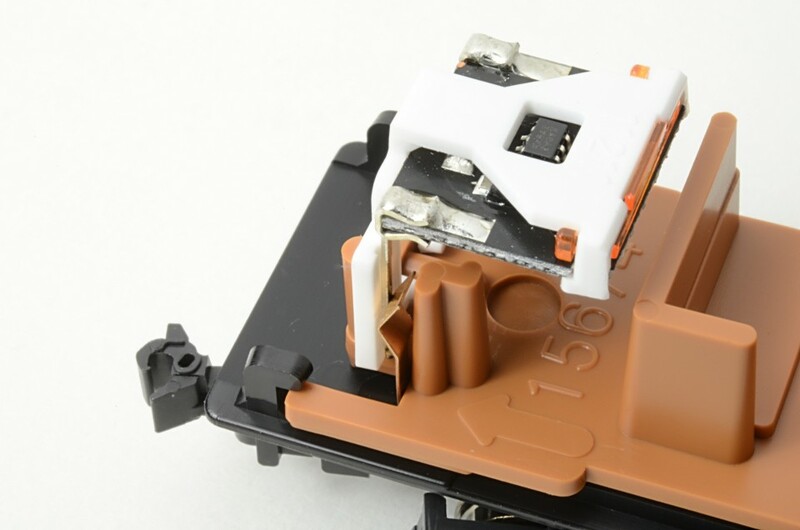 Wedging this tiny piece between the circuit board and its plastic retaining bracket was the single trickiest part of the installation, so I put it into just one car, and left it off the others. The next time I had the train out on a layout, I noticed that the lighting had a purplish cast. The car with the orange bit, by contrast, had a more traditional incandescent glow. I went back, disassembled the entire train car by car, and put the orange bits in all of them. It was tedious, but worth it. A few of the cars had issues with the lights flickering. On the cars that had been through the store fire, this was a matter of polishing oxidation off the contact strips. On the others, the contacts were not connecting firmly. I fixed this by bending the strips outward just a bit, and making sure that the circuit board was properly aligned. Generally, flickering is not an issue with Kato cars. I’ll need to clean wheels on a regular basis, however. Of the eighteen cars, all but the baggage car now have lighting. The baggage car, like all the others, is made to accept the lighting kit…but really. It’s a baggage car. There were no people riding inside. So, I’ve got extra cars. I’ve got lighting. At this point, my Broadway has received every upgrade that I can pull from one of Kato’s distinctive dark-green boxes. What comes next? Hmm…how about the interiors? Each car has an insert, molded in golden-brown plastic, with the partitions and various items of furniture molded into it. I had doubts that the interior of the entire train was golden brown, so I kept a lookout for color references. The Fall 2016 issue of Classic Trains had a feature article on Penn Station in 1963, and included lovely color shots of the Broadway. One photo of the dining car showed white linen tablecloths and red leatherette chairs. I promptly popped the shell off the corresponding model, and painted the features. You’ll notice that I did not do a meticulous job, but it doesn’t have to be meticulous. 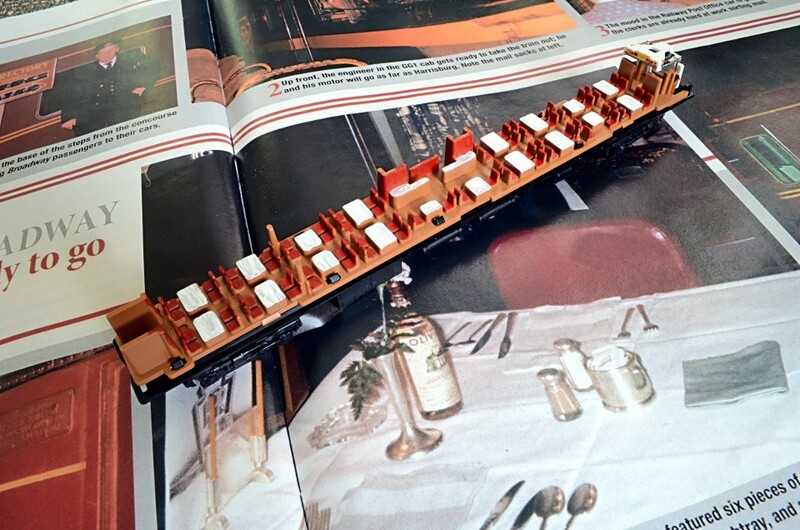 It’s the interior of a moving N scale passenger car; you’ll have little opportunity to observe nuance. Interiors will be one of those slow-moving projects. I plan to do the lounges next, since they’re nearly as visible as the diner. I may eventually do bedrooms, or just apply shades to the windows. There are still opportunities for upgrades, which I’d like to make over time. Everybody loves shiny passenger trains, but they’re not completely realistic that way. Even though passenger trains were usually kept cleaner than most, they still showed traces of grime, especially in the 1960s. A light touch would certainly set my train apart from everyone else’s. Lighting and interior detail emphasize the train’s current population of zero. (I’ve already received comments to that effect at shows.) 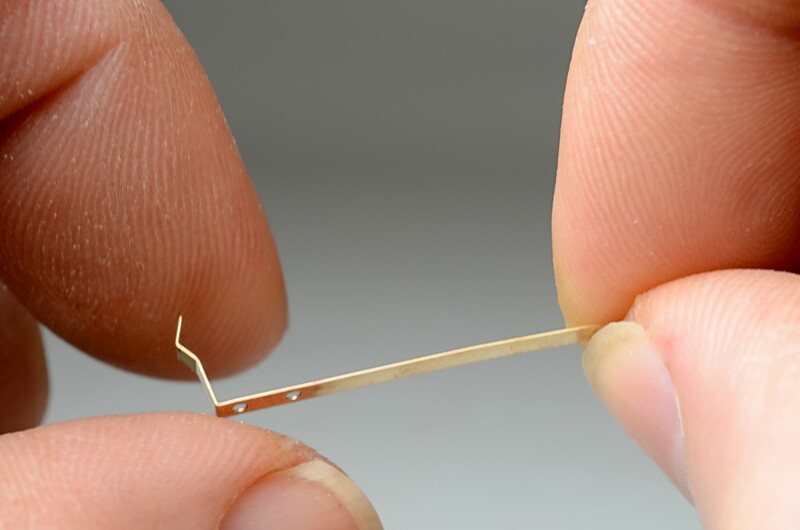 There are probably some figures available, but they would likely be expensive, and require extensive amputation to fit at the dining tables and lounge chairs. 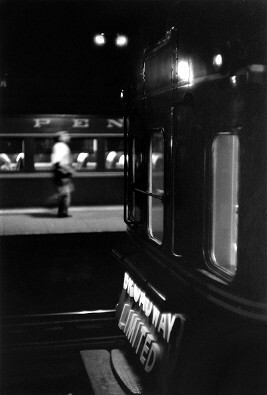 Kato equipped the Broadway with the as-built tail sign on the observation car. By the ’60s, it had given way to a larger sign that simply said “Broadway Limited” in bold white letters. This seems like the kind of thing that Shapeways was created for. Posted in Passenger Cars, Rolling Stock and tagged Broadway Limited, GG-1, Kato, N scale, Pennsylvania Railroad on November 26, 2016 by Jeff Faust.